Sea turtles have existed in the world’s oceans for millions of years, but sadly, these ancient reptiles are in danger of extinction due to harvesting, coastal development, capture in fishing gear, habitat destruction and marine pollution. 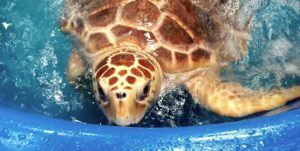 Support local sea turtle conservation groups; consider volunteering or joining a summer nesting program. Write a letter to your local newspaper or elected officials; inform locals about the plight of sea turtles and other endangered species, and refer them to sea turtle websites to make a donation. Reduce, Reuse and Recycle! 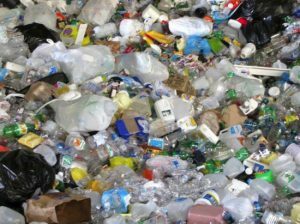 Monitor how much garbage your family creates in a 24-hour period, and then discuss how you can get through each day with using less and recycling more (especially plastics). Start a compost pile in your backyard to reduce waste. Reduce the amount of chemicals you use; fertilizers, pesticides, motor oils, and paints can be deadly if not disposed correctly. Many of these chemicals get washed into coastal areas and harm marine life, so use biodegradable products or find facilities to dispose these toxic chemicals properly. It’s becoming easier and easier to find great products that work well that are better for you and the environment. Don’t purchase turtle products – food, jewelry, leathers because t’s illegal! Safeguard beach and dune vegetation; it stabilizes sandy beaches, protects from erosion, and provides sheltered nesting sites. If you live inland, plant a tree to help the environment. EDUCATE OTHERS! Share what you know with your friends and family. Tell them how littered plastics and balloons make their way to the ocean, and eventually kill turtles. Ask people to volunteer and to recycle. Stay up to date with progress on sea turtle and conservation websites. Want to make a difference with Sea Turtle Camp this summer? Enroll Now to be part of the solution! In 2018 we will be running programs in North Carolina, Hawaii, and Costa Rica!